Fever is one of the body's most effective ways of fighting infection. The average body temperature is 98.6° F (37°C). But "normal" body temperature varies from person to person. It also changes during the day, rising a bit after you eat or exercise. Body temperature is often higher in the afternoon than it is when you wake up in the morning. 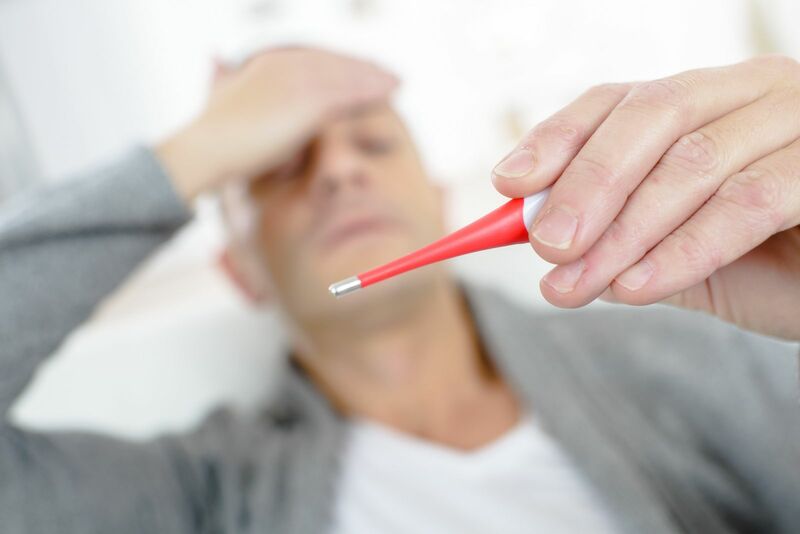 Fever means a body temperature of 100.4° F (38°C) or higher. An infection, such as the flu, is the most common cause of fever. Other conditions can also cause a fever. These include diseases that produce inflammation, such as rheumatoid arthritis, reactions to drugs or vaccines, and even certain types of cancers. A very high fever can cause confusion, extreme sleepiness, irritability, and seizures. recent travel, particularly travel abroad. Drink plenty of fluids to help cool your body and prevent dehydration. Eat light foods that are easy to digest. Take ibuprofen (Advil, Motrin, or others), naproxen, (Aleve, Naprosyn, or others), acetaminophen (Tylenol, others) or aspirin to help relieve head and body aches and lower your temperature. Take a slightly warm, not cool, bath or apply damp washcloths to the forehead and wrists. Dress lightly (even if you have chills). How does cold weather affect your health?